Rev. Rhonda Y. Britton, D.Min. Dr. Rhonda Y. Britton is the Senior Pastor of New Horizons Baptist Church, formerly Cornwallis Street, in Halifax, Nova Scotia. She was born and raised in Jacksonville, Florida. Dr. Britton has earned several degrees including a Master of Divinity degree from Princeton Theological Seminary, Princeton, New Jersey and a Doctor of Ministry degree from Acadia University, Wolfville, Nova Scotia. She has one adult son, Joseph, living in Florida. 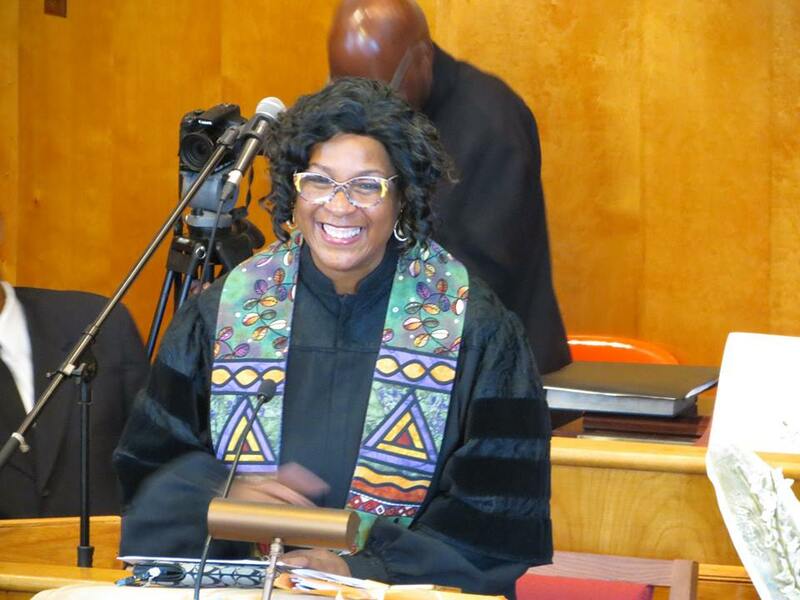 Dr. Britton was ordained at St. Philip’s Baptist Church in Staten Island, New York in 2002. From there, she accepted the call to Second United Baptist Church in New Glasgow, Nova Scotia where she served for five years before accepting the call to Cornwallis Street in 2007. Prior to ministry, Pastor Rhonda worked for twenty years in the public and private sectors as a computer professional. As such, she traveled extensively throughout Europe, Asia, and North America. She resigned her corporate career in 1999 to attend seminary and devote herself to full-time ministry. Baptized as at age 9, Pastor Rhonda has been active in church all her life, serving in the Sunday School, choir, usher, and trustee ministries. She founded the Women’s Ministry at St. Philip’s. Pastor Rhonda practices a living faith by also being active in community. She currently serves as the Moderator of the African United Baptist Association of Nova Scotia, as chair of the Richard Preston Centre for Excellence, on the Council of the Canadian Baptists of Atlantic Canada, on Corrections Canada’s Interfaith Committee on Chaplaincy, on anti-violence initiatives in the Halifax municipality, and various other boards and advisory councils. Pastor Rhonda focuses much of her effort on stressing education, encouraging youth to make positive life choices, and working to eliminate street violence.